What would you like the torso letters to say? What would you like the letters on the left leg to say? What would you like the letters on the right leg to say? The 2 legged sky dancing man is HUGE! Everyone will see it as it dances outside of your place of business. And when they see the two legged dancer, they'll see your business. Because of the two legged guy's size, it does require two of our sky guy blowers. 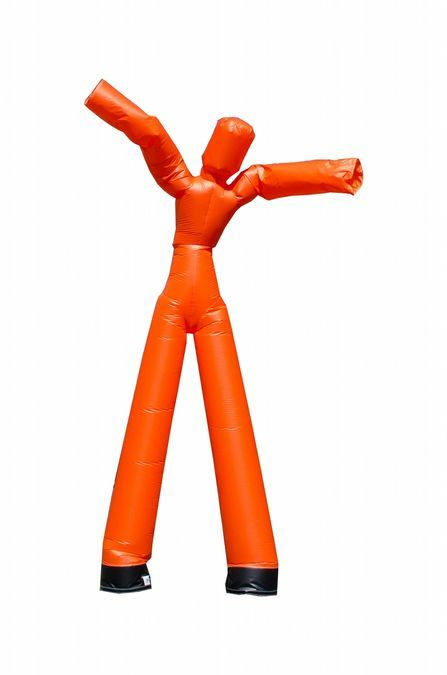 This 20' tall sky guy dancer will attract attention for sure to your place. Draw customers like flies. Our durable fly guys are sure to make an impression on anyone who drives by your place. Increase sales, double foot traffic, capture drive by customers. Requires 2 blowers.